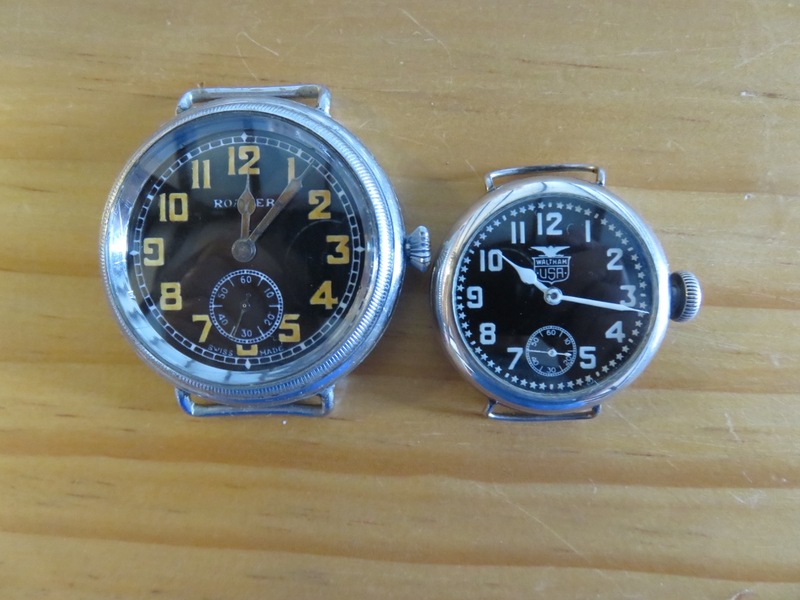 Two 1920s Flieger style watches – both are a little over 40mm in diameter. 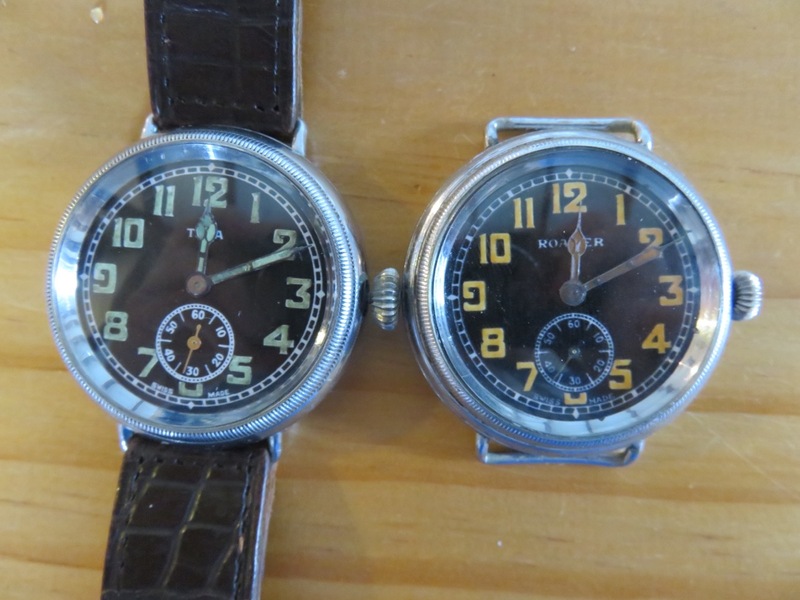 The one on the left a Tiega (sub-brand of MST) and the one on the right the newly arrival Roamer, which is incidentally slightly larger by 1 or so mm. 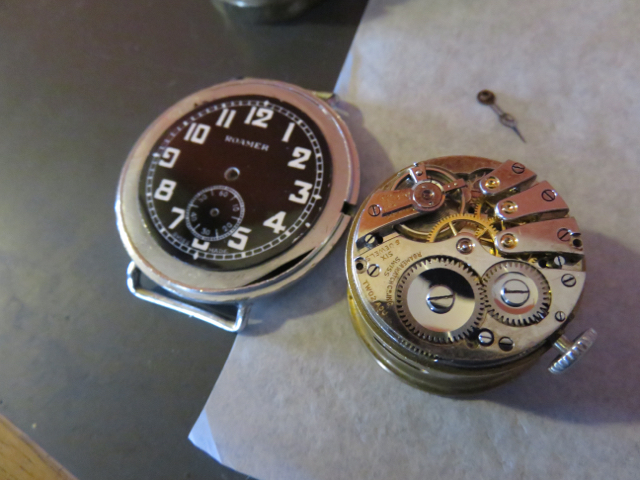 For an idea of the size of these here it is compared to a 3/0 Waltham in a Depoilier silver case. The Roamer has a 6 jewel MST264, here it the watch just after servicing the movement, and before applying the lume to the dial and hands.